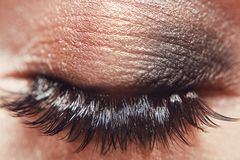 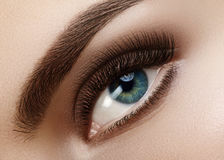 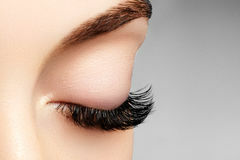 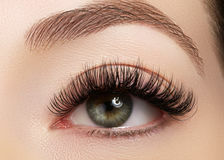 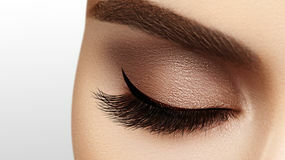 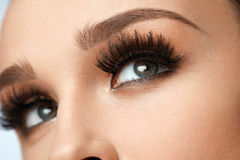 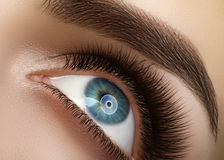 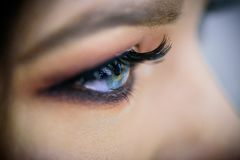 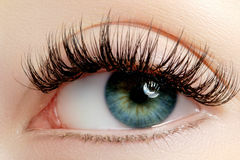 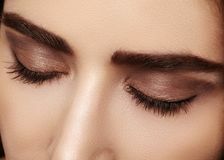 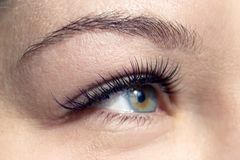 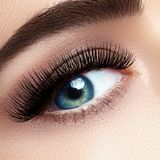 Beautiful female eye with extreme long eyelashes, black liner makeup. 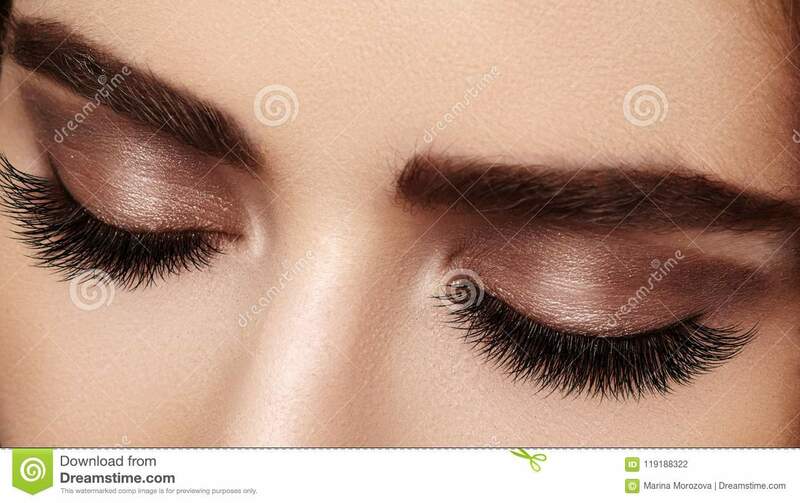 Perfect make-up, long lashes. 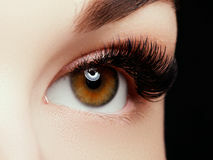 Closeup fashion eyes.